Do you gain weight by just smelling food? Have you been on multiple calorie-restricted diets throughout your life? Are you eating 1,000 calories per day just to MAINTAIN your weight? Are you cold, fatigued, and exhausted? If you answered YES to any of these questions then there is a HIGH chance that your metabolism is damaged. if you've read about the biggest loser study recently you're probably really depressed. Because according to that data you are destined to have a slow metabolism for a LOOOOONG time (at least 6 years according to the data), and there's nothing you can do about it. Lucky for you that turns out to be COMPLETELY WRONG. So don't worry! Most people know when their metabolism is damaged, but some people are walking around completely unaware. You might have noticed that MANY of these symptoms are similar to those of people who have hypothyroidism. And you are completely right. Do you see why that is important? Understanding this point will help you to understand HOW to fix the problem. Because a damaged metabolism means you ALSO have damaged thyroid function. The best way to test your metabolism is through a machine known as indirect calorimetry. This device allows you to estimate the number of calories you burn while resting - your resting metabolic rate. Your resting metabolic rate is what is known as your metabolism - meaning how many calories do you burn while breathing, thinking, living, etc. The more damage you have to your metabolism, the fewer calories you will burn while "living". Another easy way to "estimate" your metabolism is by checking both your resting heart rate and resting body temperature (1). ​Your body temperature is a reflection of much energy (AKA Heat) your body produces. The more heat you produce = the higher your body temperature = higher metabolism. So people who have lower body temperatures burn fewer calories at rest. And we already know that hypothyroid patients have a low body temperature (2), to begin with. ​So being overweight AND hypothyroid is a double whammy - and not the good kind. One of the primary ways that people damage their metabolism, to begin with, is through calorie-restricted dieting. If you've ever done a calorie-restricted diet for more than 21 days in a row, your metabolism is damaged. Period. Diets that DAMAGE your metabolism. And these kinds of diets will NEVER lead to long-lasting weight loss. ​The perfect example of this is the biggest loser study (which we discussed above). In this study, researchers followed 14 of the biggest loser contestants over 6 years after the program and showed that not only was their metabolism damaged DURING their weight loss, it STAYED damaged 6 years later. ​But what can you do about it? Healing a metabolism will take some time. This is NOT an overnight process. Even though everyone out there wishes it was. If you don't do these things, or if you revert back to calorie restriction to "maintain" your weight ​you will NEVER lose the extra weight you are holding on to. If you can stick to these 7 steps, you will notice an increase in your energy, a reduction in your weight and slow improvement in all of your symptoms. Extreme weight loss and calorie-restricted dieting leads to high concentrations of reverse T3 (3). ​The higher reverse T3 is in your blood the slower your metabolism will be. ​Reverse T3 directly blocks Free T3 from turning cellular genetic transcription on in the nucleus of your cells thereby DECREASING thyroid function. You can read more about reverse T3 levels here and why they are important. In order to reverse this process (and reverse high T3 levels), you have to provide your body with higher levels of T3 to "flush" the reverse T3 out of your system. This means taking thyroid medications that contain T3 hormone like liothyronine, Cytomel, SR T3 or Natural Desiccated thyroid. Taking medications like levothyroxine, Synthroid or Tirosint can actually INCREASE reverse T3 levels and make the problem worse. Remember way back to 6th grade when you were taught about the "powerhouse of the cell"? Those mitochondria in your cells are the guys that create almost ALL of the energy your body uses in the form of ATP. So in order to burn more fat and increase your metabolism, you have to increase the EFFICIENCY of your mitochondria. They are always working (if they weren't you'd be dead). But how efficient they are working is another story. One of the best ways to boost mitochondrial function is to consume healthy foods that your mitochondria LOVE. I'm talking about MCT (or medium chained triglycerides). These amazing fats are found in coconut oil, cheese, butter, and milk. They are actually fats that your mitochondria use as ENERGY as opposed to storing them in your fat cells for later use. They have been shown to boost fat burning potential (4), suppress appetite (5) and boost ketone production in the body (6). I'm talking about combining low-intensity exercise with high-intensity exercise. Every day you should be walking at least 30 minutes. You should NOT be sitting all day (even if you have a desk job) and you should try to be as active as possible - parking far away, taking the stairs, etc. Lots of low-intensity exercise throughout the day helps keep muscles moving, blood pumping and reduces your risk of death from all causes (7). In addition to walking and moving for 30 minutes on a daily basis, you should ALSO be practicing high-intensity interval training (HIIT) one to three times per week. Doing HIIT for at least 2 weeks has shown to significantly increase the number AND function of your mitochondria in your muscles (8). ​More mitochondria = more energy production = higher metabolism. ​But what about people who are so fatigued they can't even exercise? Unfortunately, many people who suffer from a slow metabolism find it almost impossible to get up an exercise due to crushing fatigue. If you fall into this category I don't recommend adding in exercise UNTIL you've been on thyroid hormone and adrenal support for at least one month. Just because you can't do HIIT doesn't mean you can't do low-intensity exercise daily. And if you can't walk for 30 minutes daily, then start with 20 minutes or whatever else works for you. 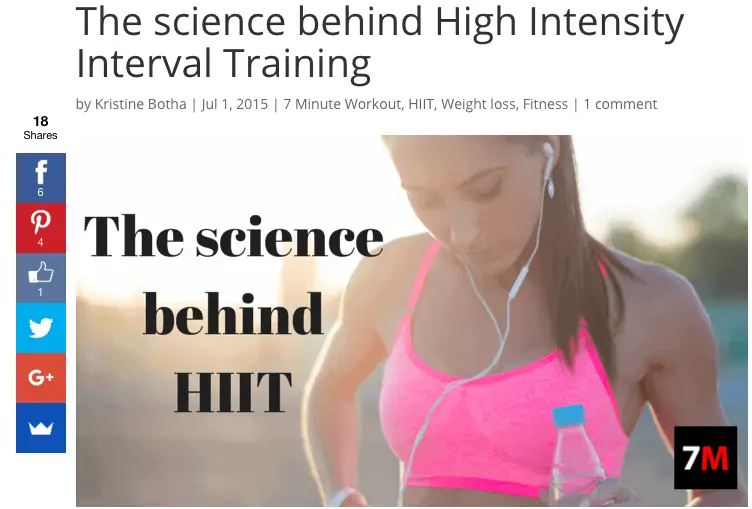 And by the way - HIIT also has a number of other amazing benefits like reducing insulin resistance (9), increasing weight loss (10) and balancing neurotransmitters (11). While each of these 7 steps is important - this one might just be the MOST important of all. And I would guess this is probably the one step you HAVEN'T tried. While it may seem counter-intuitive, fasting actually causes an INCREASE in your metabolism as opposed to a decrease. There is a big difference between prolonged and sustained calorie restriction and episodic calorie restriction. 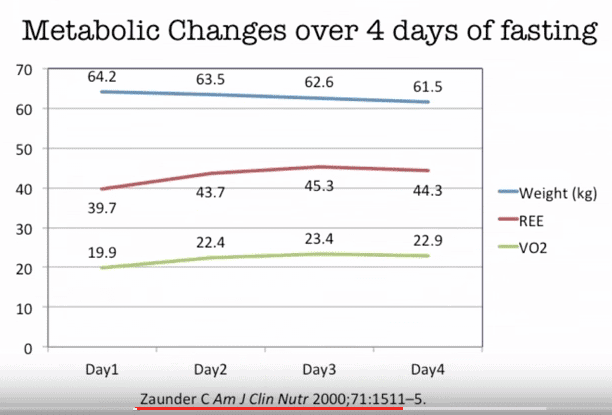 21 days of calorie restriction will DAMAGE your metabolism. Fasting 1-2 days per week will HEAL your metabolism and help you burn fat. Episodic fasting increases your metabolism by boosting adrenaline levels (12) (norepinephrine) and INCREASING fat breakdown. That means going without food actually INCREASES your energy, not decreases it. Imagine yourself thousands of years ago hunting woolly mammoths. You only get to eat when you get a kill, and that doesn't happen on a daily basis. That means you may go days between each meal. Does it make sense for your body to completely shut down, you to get dizzy, lightheaded and sluggish if you can't get a meal for a few days? Obviously not! We would all be dead if that were the case. ​If you have any of these conditions they MUST be treated and corrected or you will always have damage to your metabolism. This damage is mediated through a toxin known as Lipopolysaccharide and it's a part of the cell wall of certain bacteria in your gut. It was never meant to get into our bloodstream or into our cells, but when there is inflammation or damage to the gut, it gets through and causes tons of damage. Not only does LPS damage mitochondrial function (13), but it also damages thyroid function by DECREASING T4 to T3 conversion (14). ​Treating each condition is very different so I won't go into that here, but just realize you need to manage your gut health if you ever hope to improve your metabolism. You can start by taking a highly potent probiotic designed to restore intestinal microflora. Leptin resistance is probably the commonly missed component of weight loss resistance that I've seen in my patients. Most people realize the importance of the other 7 steps listed here, but unfortunately, many Doctors don't realize how important leptin resistance is. High levels of Leptin make thyroid function worse and send signals to the brain to reduce metabolism and increase appetite. Unless the vicious cycle is broken, leptin resistance will make weight loss impossible. Some of the other techniques listed above will help reverse Leptin resistance (like HIIT + supplements + healthy diet), but I prefer to use a GLP-1 agonist in many patients. These medications can help some patients lose 10-20 pounds in the first month of treatment (15) simply by lowering leptin levels and reversing leptin resistance. If you have diabetes, hypothyroidism or weight loss resistance you NEED to have your leptin levels checked. The goal of using supplements is only to AUGMENT the other steps listed above. Simply ordering these supplements and not doing anything else listed here will NOT result in healing your metabolism. However, if these supplements are used in combination with the recommendations above they can be very powerful. Healing your metabolism is possible, it just takes time and the 7 steps listed above. I've successfully used these steps above to help patients heal their metabolism even after dieting for decades and decades. Just remember that ALL seven steps must be done in order to increase your basal metabolic rate. Just picking 1 or 2 will NOT be enough. 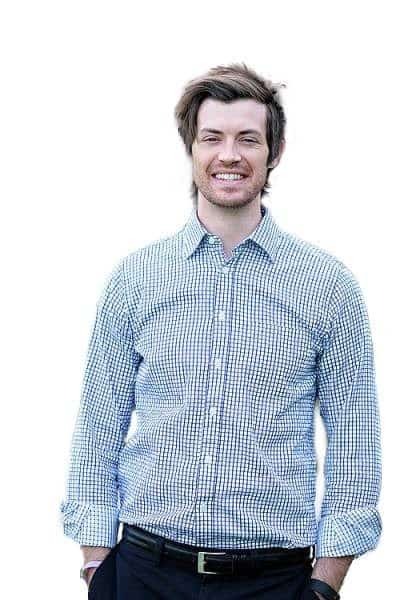 It will also be very beneficial if you can get help from a knowledgable practitioner. It can be difficult to accomplish many of these steps by yourself, and having someone to help - especially when medication is required - will make the process a lot more effective. Do you have a damaged metabolism? What have you tried that has worked?